So you’re at the helm of a startup and are now looking to attract sales in order to get your business off the ground. But how will you do that? You’ll need to build a strong online presence for your startup. And to win the rat race on the Internet, you’ll need to invest in a professional website design and maintain all right details. How can you tell the details are the right ones? It’s when everything on your website from color to content and Meta description to external links all seamlessly blend together to make the website rank high on the search result pages. And for this, it’s vital to implement best off page SEO strategies. 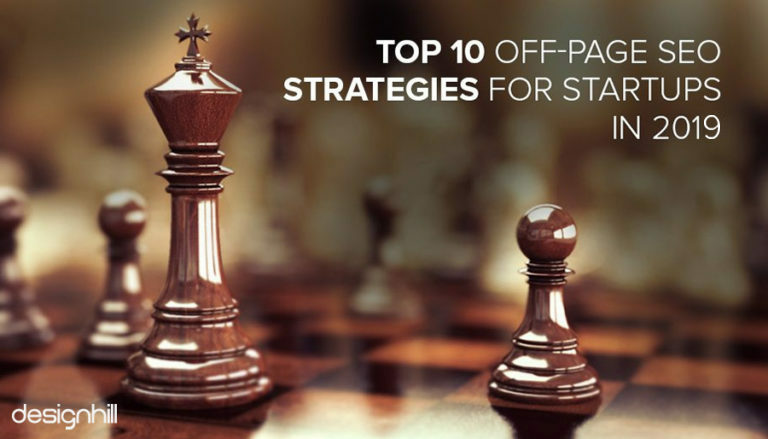 Below are the top 10 off page SEO strategies to help your startup build a strong online presence. The rule of the game is simple for startups: you’ve got to get—and hold—the attention of your target audience and hold it long enough until they’ve used your services. But catch the attention of your prospects and customers; you would need to create a strongly positive reputation for your business online. You’ll need to keep a track of what’s being said about your company online. Fortunately, there’s a host of free tools to help you effectively monitor your startup business’ online reputation. If you’re at the helm of a startup, it makes sense to start blogging about your products and services in order to create a buzz about your startup. Regularly posting blogs with unique and high-quality content and impressive images can help you create authority for your website on search engine result pages. Remember, precise and creatively written blogs always catches users fancy. In addition, blogging is an off page SEO strategy that can help you make your website visible online. Prchecker.net reveals in one of its blogs that forum posts are a popular way of increasing page rank of websites. So, do well to participate in discussions and conversations. Remember, forum posting is a great strategy that can help you boost your sites ranking on the search engines. Such forums are a great way to drive quality traffic through inbound links to your website. Now, you know how blogging is important to drive traffic to your startup website. However, in order to ensure a huge flow of traffic through blogs, you must do well to submit your blogs ups on popular search engines like Google, Yahoo and Bing. Remember, to play by the rules! If you don’t pay heed to the posting rules of these search engines, it will be not beneficial for your startup website. Cross-linking is yet another popular off page SEO strategy to raise popularity in popular search engines. It involves the practice of linking two or more sites. In fact, Pagetraffic.com reveals that linking relevant sites with related content can help you stand a chance of getting a better rank on Google and other search engines. Steve Olenski reveals in one of his blogs published on Forbes.com that for startups, it’s important to ensure filling out accurate details including business name, address and phone details across all listings. Such citations help you make your website rank high on the search engine result pages. So, do well to list your startup local business listing sites. Social bookmarking is a popular way of tagging your favorite websites and sharing them with other people. The Internet simply teems with platforms for social bookmarking. Popular search engines such as Google give more prominence frequently updated websites. So, to win the rat race on the search engines, social bookmarking is your best bet. It’s rightly said that pictures speak a thousand words. And this saying goes well even well for off page SEO strategies. Do well to shares images about your startup brand with your patrons, fans, followers, consumers and prospects. The Internet simply swarms with sites where you can easily share your brand images and photos. Picasa is one such site. Videos are loved by Google and other popular search engines. So it makes sense share videos about your startup with your fans, patrons, admirers and consumers. It will help you drive more and more traffic to your website. In fact, Moz reveals that creating and sharing videos about your business is a surefire way to boost the ranking of your startup website. Google gives much prominence to what’s being said about your business online. While positive reviews help you rank higher on Google, negative reviews pull down the ranking of your startup websites. Therefore, it makes sense to respond to all reviews for your startup on a timely basis. In addition, you can get your startup listed on some popular review sites and ask your visitors to review your products, services or even your website. Did we miss out anything? Are there any other off page strategies that can help startups rank high on search engines? Spread some startup love and share your comments with us in the comments box below.